I’m Karen Bulmer, a tuba player, educator, movement teacher, and mindfulness facilitator based in beautiful St. John’s, Newfoundland, Canada. Currently, I serve as Associate Professor of Low Brass at Memorial University of Newfoundland. In addition to teaching private trombone, euphonium, and tuba lessons, I also teach a course in Mindfulness for Musicians as well as various Pedagogy courses. I am an active tuba soloist, improviser, and clinician and I have performed my original one-woman show, Girl Meets Tuba, which chronicles my on-again off-again relationship with the tuba, in venues across Canada. I also work as a performance coach using a unique combination of mindfulness, movement, and nervous system regulation. I am passionate about exploring ways in which the mind-body connection can be harnessed for more effective – and more satisfying! – practice, and more presence in performance. You can read more about my approach to working with musicians on the Work With Me page. For as long as I can remember, I have been a perfectionist. From the time I was a little kid I never wanted to be okay or even pretty good at anything. I wanted to be exceptional. At everything. And if I didn’t think I could be exceptional, I didn’t want to do it. I needed the constant affirmation of quick and dramatic results in order to keep self-doubt at bay. Even when I was getting good results, though, I was hounded by a voice in my head telling me I still wasn’t – would never be – good enough. Nowhere did this dynamic play out more dramatically than in music school in university. It was the perfect storm: A perfectionist in a high-pressure environment that rewards perfectionism. I logged countless hours in the practice room and was continually frustrated when my achievements fell short of my expectations – no matter how uncompromising those expectations may have been. Practicing was fraught and I agonized over every performance. For a long time, I thought this was all part of the noble struggle of being an artist. And it wasn’t just that I thought perfectionism and self-criticism came with the territory of being a musician. I believed that perfectionism and self-criticism were pre-requisites for success as a musician. So, in some ways, I relished the emotional drama and saw it as evidence of my passion, dedication, and purpose. By some measure, I guess my obsessive approach worked. I finished university, went to graduate school and, pretty soon, got a job as a music professor. From the outside, it probably seemed as though I was flourishing. Inside, though, I felt like the life was being slowly drained out of me. By the time I realized I wasn’t cut out to be a musician, it was too late: I was a musician and I was spectacularly unqualified to do anything else. Around that time, I stumbled into meditation and yoga. I approached these practices in much the same way as I had approached everything in my life until that point: With a laser focus on achievement. Visions of enlightenment and Instagram-ability danced in my head. You can imagine my disappointment when I discovered that there isn’t such an emphasis on achievement in the world of contemplative practice. There is, however, an emphasis on being in the moment which, given my history of anxiety and perfectionism, was the very last place I wanted to be. But desperate times call for desperate measures! 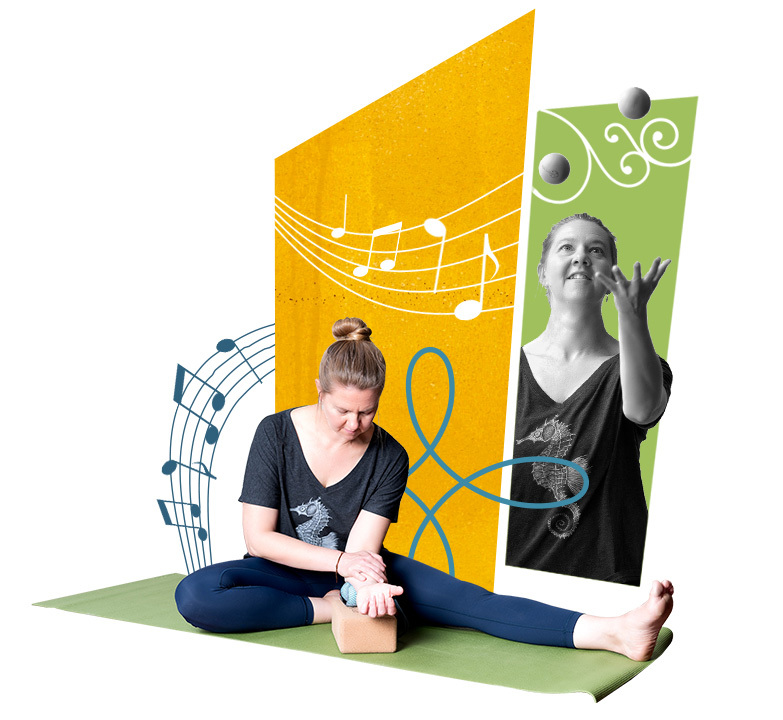 Through meditation, yoga and various other somatic movement practices and, eventually, training in trauma recovery and nervous system regulation, I entered into a process of inquiry about the nature of practice and an exploration of the possibility that a life in music could be less punishing and more nourishing – both to ourselves as individual artists and to our communities. With site, I am taking that process of inquiry into the world. For a long time, I thought that there was something wrong with me. But in twenty-five years working as a professional musician and university music teacher, I have come to realize that my experience is more the norm than the exception. Sure, our struggles differ in the particulars, but I have met very few who haven’t been affected to some degree by perfectionism, self-judgment, performance anxiety, depression…the list goes on. I say, let’s talk about it.